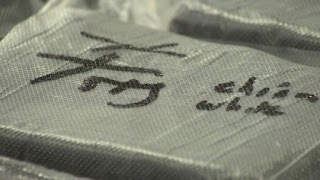 Two Chinese men have been charged with manufacturing and selling “tons of fentanyl” and other powerful synthetic drugs, according to the Justice Department. DOJ officials announced the federal indictment of 40-year-old Xiaobang Yan and 38-year-old Jian Zhang—accusing the men of running two separate enterprises that they say led to deaths. Zhang is charged with running “at least four labs” that produced the drugs and sold them via the web. 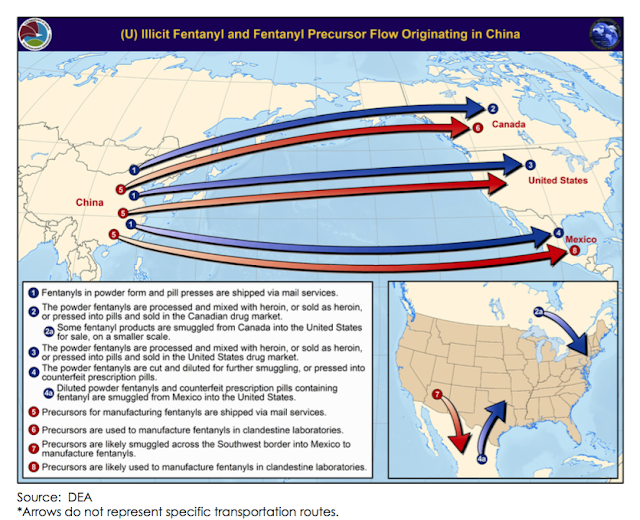 Federal agents identified more than 100 distributors of synthetic opioids that were involved with Yan’s manufacturing and distribution networks. Despite DoJ revelations they won’t likely be able to bring Zhang and Yan to the U.S. as there is no extradition treaty with China. 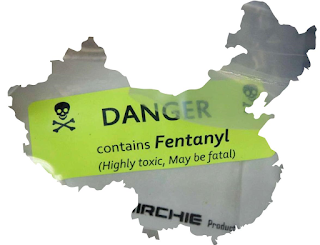 The CDC estimates that over 20,000 Americans were killed by fentanyl and fentanyl analogues in 2016, and that number is rising at an exponential rate.